Barb here to share two cards to get you inspired to create some art and maybe to get your Fall or Christmas cards started! 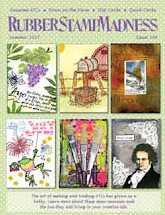 The Stamp set I am showcasing is All Things Of Nature. 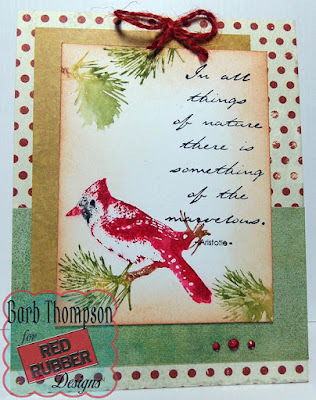 I chose to use the cardinal from the set All Things Of Nature and I used distress markers by coloring right onto the rubber stamp with a few different colors, then I spritzed it with water and then stamped it onto watercolor paper. I colored and stamped just the sprigs in the corners. Great water color effect and very easy! The sentiment is stamped with StazOn black. 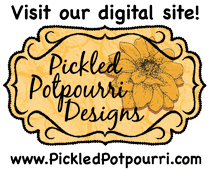 Makes a fabulous fall or winter card. This set All Things Of Nature has 5 different birds for all times of year and the sentiment is included. The second card features the same set All Things Of Nature and the same bird (the cardinal) but I wanted to make a Christmas card. 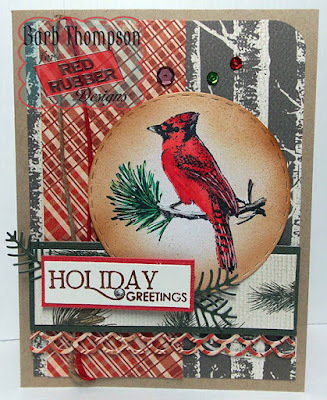 I stamped the cardinal and die cut it and then colored it. The Greeting is from Contemporary Greetings that I stamped and embossed in copper. Hope you enjoyed my creations today! Stop back next week to see what the team has for you! Beautiful cards Barb!! I love the colors and watercolor effect! Barb both cards are beautiful! You really did a fab job showcasing the beautiful cardinal!